FALLS CHURCH — When Andy relocated to northern Virginia near Washington, DC, he knew he needed to build a studio in his backyard. A sculptor for more than 30 years, Andy wanted to have the space to create large-scale projects close to home. Andy considered renting a workspace but knew that the costs would be prohibitive and “a waste of money,” he said. Besides, “if I had to travel to get to it, that would have been very discouraging,” he added. Andy uses his 14′ by 30′ Modern-Shed to create his innovative art sculptures. In 2011, Andy ordered and constructed his 14’ by 30’ Modern-Shed art studio, which he has been using ever since to create unique, innovative pieces. With everyday materials, such as matchsticks or rice paper, Andy sculpts everything from 24-foot paper airplanes (now on display at Cleveland Hopkins International Airport) to 7-foot-long dress shoes made out of black licorice, silicone and Styrofoam. 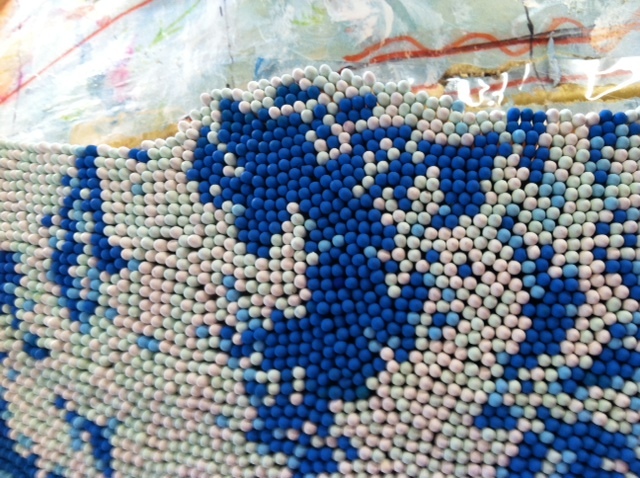 Right now, Andy is working on a 200-pound, 43-inch diameter globe, made with 300,000 matches dipped in paint and flame retardant. His Modern-Shed art studio affords him the space to work on the project, which has taken more than a year, in an environment close to home. 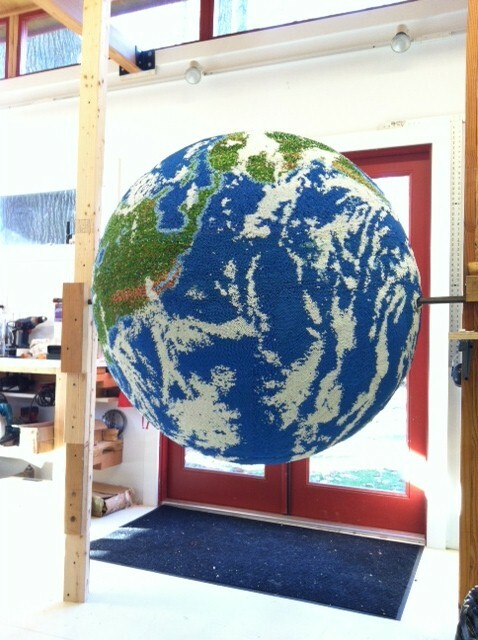 Andy’s 200-pound globe created out of 300,000 matchsticks will soon be on display at an art fair in New York. The matchstick piece will be on display at an art fair in New York in early May. Andy plans to build a deck around his shed, so that he can work on the more “messy” elements of his work, like cutting, sanding and grinding pieces. These matchsticks are dipped in paint and flame retardant. As it sits now, the Modern-Shed suits the space available in his backyard, Andy said. 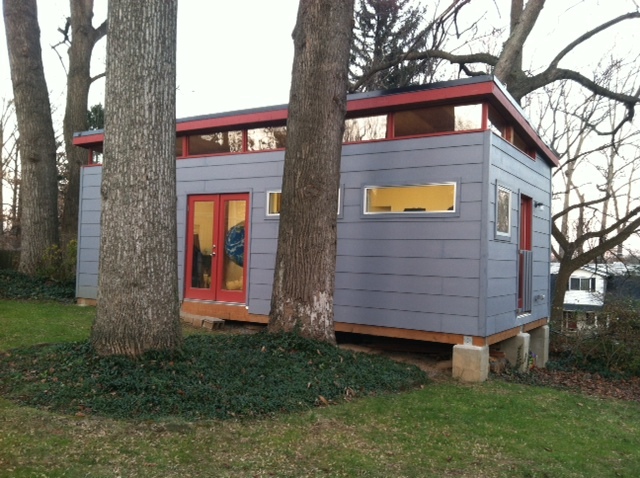 As an artist, Andy took great care in selecting the colors of his Modern-Shed. The neighbors love Andy’s Modern-Shed — one elderly woman has told him that the light shining from the shed gives her comfort at night. What attracts his neighbors to the Modern-Shed is what attracted Andy to the company in the first place.